As you’ve probably experienced, web banners are possible the most viewed advertising medium available and offer incredible ROI opportunities for your business. To support a successful PPC campaign, you will need web banner design that really catches the eye. A balance of excellent design, clear and concise messaging, strong branding and timing can be the difference between annoying and intriguing. One one side, the annoying banner that just won’t go away, scrolls down the page with you, screaming for attention, with a tiny cross that no human’s finger could possible touch to get rid of it – before you know it you’re on some infinite loop of pointless click-bait articles. On the other side, the banner that actually sparks interest, isn’t shouty, looks professional and trustworthy, and links through to the very thing it was advertising. That’s good web banner design. Keep it simple, get them to your website. The web banner is the bait – your website is the hook. At no point should you be deceiving your potential customer – they will not give you a second chance. Reinforce the reason they clicked your banner. If your web banner included a discount, be sure to clearly confirm their discount has been applied. If you’re advertising dinosaurs, then show them dinosaurs! 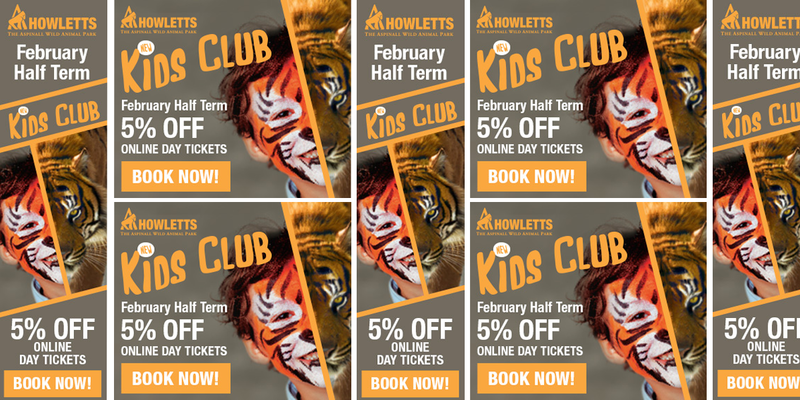 Oak Creative have produced eye-catching web banner design for a variety of companies including Howletts and Port Lympne wild animal parks, Chessington World of Adventures, Alton Towers, Pepper Pig World, LEGOLAND™ Holidays, and Holiday Extras to name a few. To see web banner examples, check out our page which shows you the range of web banner designs we can produce here at Oak Creative. Web banners come in all sorts of shapes and sizes, so we’ve put together a guide on the sizes you are most likely to need for a successful PPC web banner campaign. Find out more about web banner sizes here. Contact us today to see how we can help you. We also offer a range of digital services including web design, email template design and social media icon design.